This course explores the creation of the Star Wars canon, its history as a cultural phenomenon and its staying power as a story. What influenced the creation of Star Wars? What is the history of Star Wars as a cultural phenomenon? What does the Star Wars canon consist of? As anyone who has ever staged a mock lightsaber duel or made an imaginary jump to lightspeed knows, Star Wars is a shared language that unites multiple generations across the planet. What traditions and ideas inspired that galaxy a long time ago and far, far away? How has the Star Wars universe expanded and evolved since its debut in 1977? What can we expect from its future incarnations? Join award-winning scholar Dr. Amy H. Sturgis as she examines the fabric of the Star Wars story and its participatory fan culture to discover the lasting meaning behind the epic and appreciate its unprecedented impact on film, fiction, and popular culture. Whether you’re a lifelong fan or a Star Wars newbie, you are welcome here. Don’t move along. This is the class you’re looking for. Want to learn more about this class? See Dr. Sturgis’ interview on the Mythgard Blog. 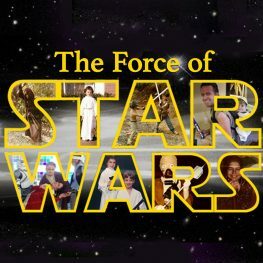 As part of this course, a guest appearance and Q&A is scheduled with Star Wars veteran John Jackson Miller, the author of the very first novel in the new Star Wars canon, Star Wars: A New Dawn (2014), as well as the New York Times bestseller Star Wars: Kenobi (2013) and the popular Star Wars: Knights of the Old Republic (2006-2010, 2012) and Star Wars: Knight Errant (2010-2012) comic series, among other Star Wars and science fiction titles. Week 11 – Why Star Wars? Additional required reading/viewing will be available online, and suggested further reading/viewing will be provided to enrolled students.